LAS VEGAS, October 23, 2018	(Newswire.com) - cleverDome Inc.™, a B-Corporation that provides a community-driven solution to protect confidential consumer information by taking that information “Under the Dome”TM (i.e., secure and off the open Internet), while at the T3 Technology Conference 2018 for financial services enterprises in Las Vegas this week shared information about the growth of its commercial launch, which (un-coincidentally) occurred 12 months ago while at a special press briefing held Oct. 30, 2017, at the T3 Technology Conference for financial services enterprises. 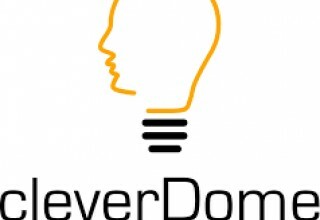 cleverDome's focus for the past 12 months has been to bring software service vendors, broker/dealers, registered investment advisers and financial advisers "Under the Dome." cleverDome participants include United Planners, Geneos, Redtail, Orion Advisor Services, Riskalyze, Entreda, FCI, Workplace by OS33, 3PAS and Netfoundry. InterGen Data, an AI-driven solution for advisors who seek to better understand their clients (and an award-winner at the Orion Fuse competition in September 2018), is also in conversations with cleverDome. The cleverDome solution provides the fundamental model for the future of financial networks: The unification of end-point protection with a secure communication layer under a common due-diligence standard. cleverDome’s mission is to help financial services firms better protect their company and clients from cyber-fraud with a secure network environment. The call to action continues to be: “Get Under the Dome™." 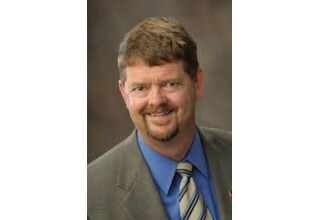 Alan Gleghorn has taken the helm as president of cleverDome Inc. Prior to joining cleverDome, Gleghorn was a strategic advisor for StratTech Solutions, a Managed Services Provider (MSP) in the information technology sector. As a senior executive in the healthcare industry, he brings over 30 years of experience in leading organizations and their boards to the cleverDome executive leadership team. He led multiple healthcare organizations through financial turnarounds, large building projects, technology system conversions, and physician compensation and governance changes. He also was a senior executive and part of the founding team with a publicly traded management company. 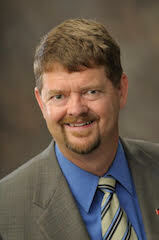 He is an expert in creating Lean and Process Improvement Cultures. Gleghorn and cleverDome CEO Aaron Spradlin – along with numerous cleverDome Co-Op and Consortium members – will be available to speak with conference participants at Joel Bruckenstein’s T3 Enterprise event Oct. 22-24, 2018. Look for them in the Exhibit Hall and on stage. Now in its sixth year, the T3 Enterprise Conference has become the leading enterprise-focused technology conference in the financial services industry. 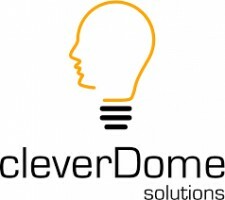 cleverDome,Inc. ™ is an Arizona Benefit Corporation (B Corporation) that operates as a Co-Op. Members include managed security service providers, software service vendors, custodians, broker/dealers, registered investment advisers, financial advisors and ultimately their investor clients. As a B Corporation, its mission is to protect confidential consumer information through safe, reliable and fast internet connections. cleverDome CEO and co-founder Aaron Spradlin and Chief Risk Officer and co-founder Bridget Gaughan established cleverDome as a B corporation to create a solid and permanent commitment to delivering a community-based solution to protect confidential client information. cleverDome provides a fundamental model for the future of secure trust networks: the unification of end-point protection with a secure communication layer under a common due diligence standard. This revolutionary model is built on a community-driven platform in collaboration with financial services industry thought-leaders. The Dome is powered by NetFoundry ™, a Tata Communications business incubated in Tata Communications' “Shape the Future” program. cleverDome was in September 2018 honored as a finalist in the 2018 WealthManagement.com Awards as a “disruptor” in the financial technology category. This 2018 acknowledgment comes on the heels of cleverDome / Netfoundry being named by the judges presiding over the fourth annual Fuse Conference held Sept. 7-10, 2017, in Park City, Utah, (hosted by Orion Advisor Services) as “most likely to disrupt” the financial services industry. Beginning in 2019, cleverDome will develop a consumer model to deliver the Dome to American consumers, a group that is vulnerable to cyber-attacks. Learn more at www.cleverDome.com.